Did you know that everything’s connected? Did you know that if you slowed down and truly observed your surroundings you might notice details you otherwise missed? Did you know that kid in college who became insufferable when they read Zen and the Art of Motorcyle Maintenance? If not, do you want to? Play The Witness. This isn’t a final review of the game. I’ve been playing it for over a week but I’m nowhere near being finished (although I’m close to being done with it). It has some of the hardest puzzles I’ve ever seen in a game, and other than introducing a few basic rules it rarely even hints at how to solve any of them. It takes time and patience, which I like, and forces us to approach its puzzles from an ever-increasing spiral of angles and perspectives in order to figure them out. It’s entirely possible the game eventually does something that I haven’t seen yet that makes up for and explains the things that annoy me. Even if those flaws are smoothed away or retroactively justified, though, it wouldn’t make me forget all the times I felt like I was talking to a particularly dull freshman philosophy major. The puzzles aren’t the problem with The Witness. It’s how the game chooses to impart its message. The Witness admirably aspires to depth beyond a simple collection of brain-destroying stumpers, but the way it does that undermines what is legitimately powerful about the game. It’s a brutal lesson in observation, perspective and perseverance undercut by cloyingly acted audio logs about how everything is connected, pulled from the writings of various thinkers, philosophers and scientists. At one point it spends what feels like ten minutes quoting an astronaut on how, from space, earth has no borders. It’s a game steeped in Zen teaching that regularly tells you it’s steeped in Zen teaching, a proudly spiritual game whose spirituality is vague and simplistic. These self-important audio logs are rare, but they’re so obnoxious that they actively damage my enjoyment of the game. They stick out in my memory as strongly as anything the game does well. When I think of The Witness I immediately think of line puzzles, hidden patterns and pointless voiceovers that ruin the mood. I think of a game that either doesn’t trust us to understand what it’s trying to say, and thus feels the need to underline it, or else a game that really wants us to be impressed by how smart and thoughtful it is. This is a game about connections—between us and our virtual surroundings, between us and our real-life surroundings, between us and our fellow man, between science and spirituality, between thought and expression—and at one point it literally shows a clip featuring James Burke, the host of the beloved popular science show Connections. I wouldn’t be surprised if the Stereo MCs’ “Connected” video is hidden somewhere on this island. 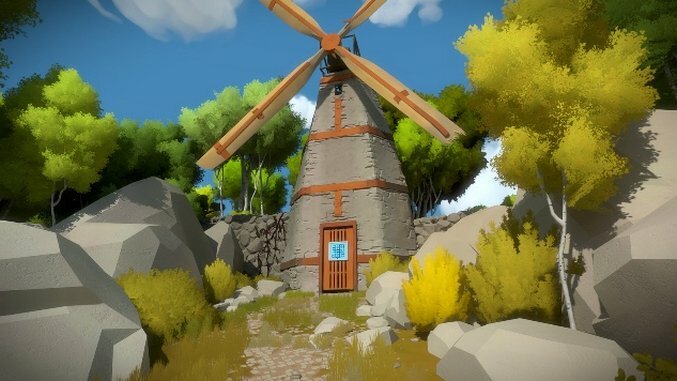 The Witness is a subtle game that regularly sabotages its own subtlety. It’s an intellectually shallow game struggling to convince us it’s deep, confusing mystery for profundity and repeatedly asking us if we get it. We’d like what we got a good bit more if The Witness had more confidence in us and itself. Garrett Martin edits Paste’s games and comedy sections. Follow him on Twitter.